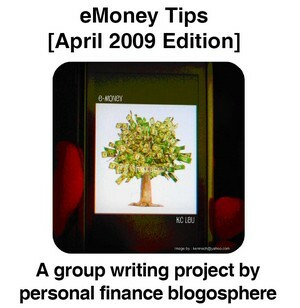 We proudly recommend the FREE first edition of eMoney Tips ebook to you. This is the baby of the first group writing project in Malaysia contributed by personal finance bloggers, practitioners, and even some readers of blogs. It shares the ideas and tips of personal finance such as wealth creation, insurance and investment. We feel honoured to have a chance to publish one of our articles in this ebook. Thanks to all the contributors especially KCLau (Founder and Organizer), Ken Neoh (Cover Designer) and Yow Chuan (Editor), who have made the project a success. Click here to download the ebook for FREE. Read comments about each article here. If you want to participate in this project or find out how you can benefit from it, read more about the project here. 5. Get a loan for everything… cars, a new bedroom set, a vacation ***BONUS: use credit cards with a 25% interest rate! Using cash to buy things (especially items that depreciate in value) is the key to breaking out of the “poor” cycle. Ever notice what part of town you typically find the rent‐a‐centers? It isn’t where the wealthy people live. As Kiyosaki said in his famous book, “Rich Dad, Poor Dad” the poor (and middle class) buy their luxuries immediately and on credit. The wealthy wait, save up and buy it with cash. The real idea is to buy assets first, then their asset buy their liabilities. That is how the rich work.